Europe and Japan are "on sale" for vacationers, but there's bad news too. camera (Getty Images/Gallo Images) What the falling euro means for you. A stronger U.S. dollar is creating a virtual "sale" on American vacations and purchases in places including Europe and Japan. 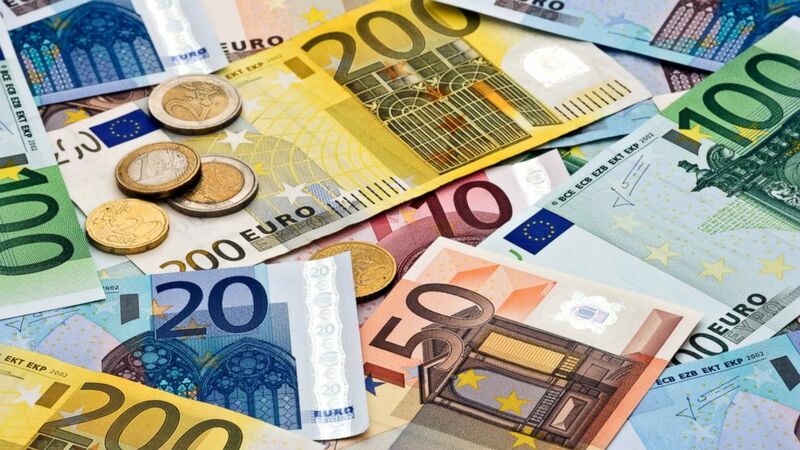 But the discount will seem deeper for some than others, as the euro falls to its lowest level in nine and a half years. "Americans traveling to Europe will feel like everything is on sale," said Morningstar economist Francisco Torralba. "But how deep the perceived sale is will depend on how long it was since the last time they were there." For example, somebody who traveled to Europe last June will see that goods and services are 10 to 15 percent cheaper at most. But European retailers, especially those that cater mostly to tourists, may mark up their prices to account for the fact that the spending power of many visitors has increased, Torralba said. The 10-15 percent 'sale' is an upper bound: most visitors will likely see smaller price reductions. American tourists are heading into the peak European spring season at the "perfect" time, said Josh Wyatt, chief strategic officer at upscale Generator Hostels. "Finally Europe is on sale for Americans suffering from a previously weak dollar," he said. Consumers won't immediately notice cheaper imported goods. The vast majority of the goods, by value, that the U.S. imports from Europe are industrial products: machinery, chemical products and related items. "So U.S. consumers will not see much difference in the cost of their typical shopping basket," Torralba said. Bankrate.com's chief financial analyst Greg McBride said the stronger dollar is noticeable in other countries, including Japan. Last year, the Japanese yen fell 12 percent against the dollar. The Russian ruble fell more than 40 percent against the dollar last year. "Foreign economies are weak and central banks are planning to stimulate their economies, which tends to weaken their currency," McBride said. So should Americans book that travel abroad right now? "If you have been eyeing this trip and saving for it for a few years, the timing is great," McBride said. "But the movements in the currency don’t justify piling on debt for a vacation you can’t really afford." 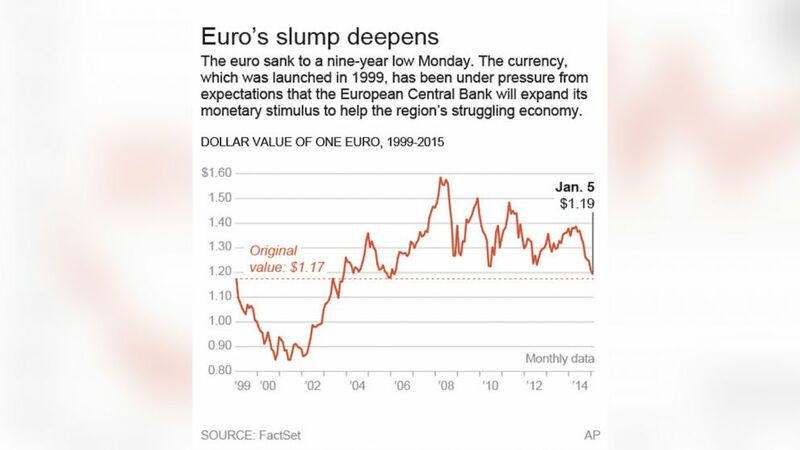 (AP Photo) This graphic shows the dollar value of the euro since 1999. Barry Bosworth of the Brookings Institution said the euro's exchange rate isn't in the range where it will have a big impact on U.S. trade. "The change in Japan is much more dramatic, but for some reason it has not yet had a big trade effect," he said, adding that exchange rate changes have a lagging effect on trade and they are complicated by the fall in energy prices.